Working in digital marketing means, as one of many parent bloggers, we’re not short of an opinion or two. We’ve introduced parent blogger rankings to you, and then discussed what these influencer rankings actually mean, but what do creators, PRs and other parent bloggers really think of some of them? Personally, KiddyCharts loves them; being in them, watching them, and using them are all critical for us as a site, despite their flaws, and as a digital marketer. Being an analyst by trade though, perhaps we aren’t the standard amongst parent bloggers’ sites. So – if you want to understand what a community thinks of something specific – what do you do? Ask it! We asked generally what parent bloggers felt about the ranking systems they knew of or belonged to. In addition to this, we asked about the new Babios parent bloggers study, and this is what people thought. Forgive the long post, but there was a lot of feedback, and we wanted to include it all to say thanks for contributing. How to influencers feel about some parent bloggers ranking lists? The best way of finding out how bloggers feeling about anything, is asking, so here are some views overall of influencer rankings from the community. Note, this is in the order I got the comments (largely), and ironically not any form of ranking at all! “I’m in Tots. I think they can be a fab way to monitor/measure your progress and encourage healthy ambition. However, I’m also hyper aware of the fact that if you don’t tick a specific box then you’ll never out-rank those who do, regardless of how well you perform in other areas. In that respect it can be disheartening. “I’m in TOTS (albeit a very low rank). Tots recently started removing people that were found to be “cheating” which is fab imho. I find it very disheartening to see people that you KNOW are “cheating” getting ops despite not “deserving” them. I think if they could all do that then it would be fab and they’d be more worthwhile. I just left Tots100, I was last ranked as 24 (I think! ), but it no longer brought me any work. My fees are higher than Tots usually offer bloggers and I didn’t see the benefit of being ranked in it any more. The parent blogger leaderboard is strange as it’s only dependant in how often you publish blogs, as far as I’m aware anyway! I don’t see how that’s a good indication of blog quality or readership! In other words, exactly as we said within the article explaining influencer rankings, ever single creator has their own, entirely valid view of what rankings mean to them. To drill down a little deeper, what about community thoughts on one of the specific rankings from 2018? “I think it’s really interesting! Hopefully studies like this will lead to less of the ‘follow/unfollow’ or buying followers game that many bloggers do. That’s not to blame anyone there, as a lot of the time it IS about a numbers game when it comes to working with brands, or social authority. Ultimately though, it should be about the engagement to followers ratio, and this study looks as though it is going to publish some very interesting results. Further comments from Nickie in a chat with her. And we totally agree that it is incredibly important for brands to do their own research, combined with what’s available through the rankings. As we have said in all these rankings articles; there is no simple one-stop shop. It’s GOT to be a combination of tools, and relationships that provides the best results for brands, and for creators too. “It looks interesting, but it’s only relevant at the time of their sample and test period surely? Unless it’s active and regularly updated. If it was an active tool then that would be good ongoing. I do think some of the findings and correlations are interesting. It also says it will publish top 50/100 ‘mummy bloggers’, but that’s only from the sample of bloggers they have analysed so it’s not inclusive of all, so not too sure what relevance this has or how they decided on which bloggers to analyse. It would have to be clear that’s only a top list from a small sample of mummy bloggers. Editor note: 100% Victoria – we would love to see something like this updated regularly, including more stats, and perhaps with the co-operation of both brands, and creators. “It’s very interesting but I don’t think there’s any fail safe way of analysing it with 100% accuracy. As a reader I don’t often comment on posts for anything, but will act on it at a later date or have certainly taken in what’s been written. I do now try to comment on blogger posts more now that I blog myself and know how important engagement is. “What popped out at me is the emphasis on Twitter.. a platform a I have long neglected (totally understand why young accts have more engagement vs old accts – surprised he is puzzled by this. It’s obvious- many bloggers start out on twitter and as the grow move to other platforms that result in more click through a so twitter becomes less important.. esp as we get to a stage where we can’t keep up with everything). I totally recognise the Instagram is super important to brands at the moment. I have seen so many fellow bloggers working with brands via IG this year. “So first thoughts are that it’s just looking at the metrics that ranking organisations like Tots and Vuelio use but making it seem more statistical and thus more authoritative. For example -> Engagement on an Instagram post is a visible thing they have devised a calculation for rating it but it is only engagement in terms of what people are saying and double clicking on. It doesn’t give any behind the scenes metrics which would give you a true representation of the data. From a Blogging point of view – they are basically making their own chart/rankings based on the same data and that’s it. Again there is no take into account things that aren’t easily visible e.g. newsletter subscribers including open and click-through rates, engagement outside of comments e.g. pageviews per sessions or emails sent asking further questions. The actual engagement of a post may not be seen on social networks – you can’t see if it resulted in 4000 people clicking over to find out more as this is not shown anywhere to the public. From a stats point of view – there are too many variables that they aren’t taking into account. The same things that stand out as a blogger stand out as a researcher – and I think more so because it’s my job so it’s something I pay attention to. Those visible metrics are just the surface layer. You can’t tell from a DA or PA much about real visitors to a site because they are to do with age of site and easily manipulated sources like backlinks to calculate. A twitter engagement rate is more than follower numbers to retweets and replies. There is a whole subset of data which give the true engagement that isn’t taken into account. How many people saw it maybe less than normal because of date, time when their followers weren’t online. “Um: The youngest mummy blogger in the UK is 0.044 years (i.e. 16 days old) and the eldest is 10.54 years. The average Twitter social authority is around 48 (out of 100), where 75% of bloggers have a score less than 56 (with a maximum of 76). “I read that yesterday and though “huh”. It didn’t really make a lot of sense to me. And he lost me at “youngest Mummy Blogger is 16 days old”. I know he meant blog but it just annoyed me. I’ve also got a pathological hatred of the phrase “mummy blogger”. 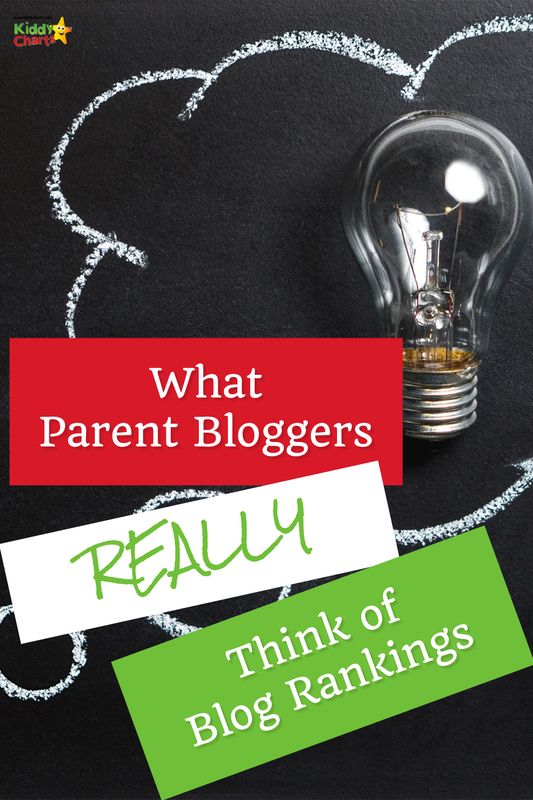 Parent bloggers always step up to the plate when you need feedback, can you tell? The initial results from the Babios study are fascinating, and any other research is likely to prove to be just as interesting, as long as you can get your head around it. Thanks for reading the community comments, don’t forget to check out the other articles on influencer rankings we have done, and subscribe for more Printables, and other musings from the site in our weekly newsletter. I really enjoyed reading this! I think rankings are a strange one, its usually only the ones at the top who actually believe in them. The rest of us are a little indifferent! I think if you are a parent blogger, any ranking system is only ever going to be relevant for you if there is an alignment between the needs of your own audience and that of your own blog’s business/strategic direction. If the ranking system contains indicators that are of tangible significance to your market and your strategy then that means something. Otherwise, it might be a ‘feel good’ to be seen to rank well but it may not otherwise be that relevant in terms of satisfying your audience and achieving your own goals that you have set for yourself. I am not familiar with these rankings, and I wonder if there is a similar one here in the US. It is interesting to see feedback on blogs. Welp! I don’t know any of these ranking sites against other bloggers, and thank God, as I might send my time constantly checking and stressing. Just do you, create great content and engage with fellow bloggers for traffic.